Airbnb, a company that began as a house-sharing and short-term rental resource for the travel industry, is slowly inching deeper into real estate. Just last month, the company announced it would be moving into construction, designing its own buildings and homes. Even in its original format, however, the company is frequently making headlines, toeing the line between being a legal option for those looking to make some extra cash and being misused by certain individuals, even in the real estate space, who will go as far as breaking local laws and regulations to fill units with a revolving door of temporary guests. The latest skirmish? According to the New York Times, the New York State Supreme Court filed a lawsuit against the Metropolitan Property Group, a real estate brokerage that allegedly used Airbnb to illegally rent out apartments in a 126-unit building in the Kips Bay neighborhood, and at 34 other buildings in Manhattan, including an entire building in East Harlem. This is reportedly the largest lawsuit of its kind ever brought by the city of New York, and claims that the group of brokers created 18 corporate entities and fictitious identities on Airbnb in order to convert at least 130 units into short-term rental spaces. The lawsuit alleges that the group helped facilitate 13,691 Airbnb rentals, taking in nearly $21 million in revenue after housing 75,000 guests between 2015 and 2018. “This case is a clear example of just one thing: the ongoing need for a comprehensive, statewide bill that would provide for strict recourse against the few bad actors while protecting the rights of thousands of regular New Yorkers who are responsibly sharing their home,” Josh Meltzer, head of Northeast Policy for Airbnb, told the New York Times. Regulations vary widely across the U.S., making it difficult to clarify how and where Airbnb can be utilized. In New York, for example, it is illegal to lease out apartments in most buildings for under 30 days unless the occupying tenant is present during the guest’s stay. If brokers at the Metropolitan Property Group did, in fact, lease out units through Airbnb for shorter time spans, they may be in violation of this law. 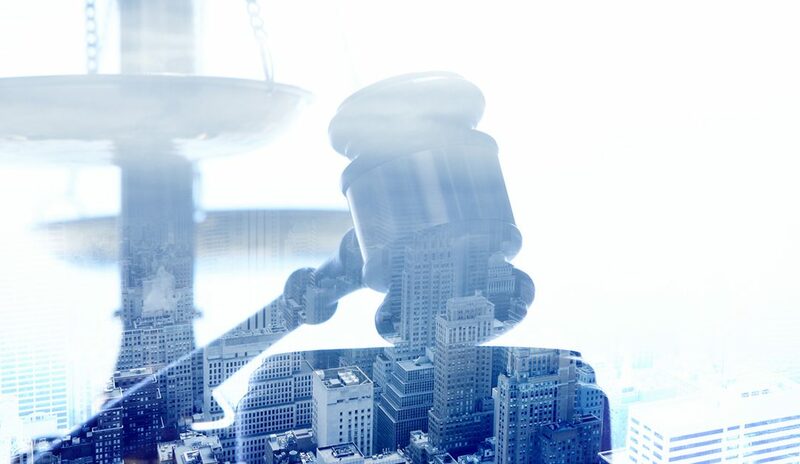 States across the U.S. are looking to implement their own regulations at the local level, proposing statutes with the goal of preserving housing inventory and ensuring fair use of properties across the board. However, some of the restrictions are being seen as unconstitutional, violating privacy laws. In November, for example, the de Blasio Administration proposed rules that would force Airbnb and other short-term rental sites to disclose the identities of their hosts and the types of listings they are offering. According to Curbed, this information would be submitted monthly to the Office of Special Enforcement. The report would also include other information, including how much money the listings generated and clarification on whether each host rented out the entire unit or simply a room, and what the length of the stay was. This law was blocked by a U.S. district judge at the beginning of the month, stating that the reporting would violate the protections outlined in the Fourth Amendment. Similar regulations proposed in D.C. this month are speculated to be shut down as well; however, lawmakers are continuously looking to regulate Airbnb’s role in the district to ensure that all property owners comply with the 90-day limit, as well as D.C.’s ban on using second homes for short-term rentals. Without regulations in place, housing experts fear that Airbnb could negatively impact real estate markets. In fact, several studies have looked at Airbnb trends across the country to determine how the short-term rental industry is impacting housing supply, long-term rentals and affordable housing. A report released last year by the Urban Politics and Governance Research Group, The High Cost of Short-Term Rentals in New York City, studied Airbnb activity between September 2014 and August 2017 in NYC, finding that the short-term rental company played an integral role in raising rents, removing housing from the rental market and fueling gentrification. The report found that Airbnb removed between 7,000 and 13,500 housing units from New York City’s long-term rental market, increasing the median long-term rent in NYC by 1.4 percent over the last three years and claiming $435 million in revenue from likely-illegal listings. Of course, Airbnb has its own set of regulations, but users have often found loopholes for these by creating several accounts under false names or ignoring local regulations altogether against Airbnb’s guidelines. On Airbnb’s Responsible Hosting in the United States page, the company reminds users to check HOA, co-op board and local regulations to ensure that pseudo-landlords are not breaking any contracts or laws. The company even provides links to information on city-specific regulations. In the years to come, the industry can expect several more proposals attempting to regulate the short-term rental market, particularly in cities and states dealing with an affordability crisis and skyrocketing rental prices, such as California and New York City. Some states have already implemented new rules, including in Massachusetts, where sites such as Airbnb will have to pay the same 5.7 percent state tax as hotels do, and will also have to register with the state. Those new rules are set to take effect on July 1, 2019.